Becoming a single-name pop diva is no ordinary feat: It’s a title to be earned. Beyoncé, the ultimate performer; Adele, the powerhouse songwriter of this generation; Rihanna, the embodiment of a musical icon. Although new to the spotlight, Sia Furler, popularly known now by her singular first name, is no amateur in the music scene. A gifted songstress in the pop music department, she has penned compositions for artists like Christina Aguilera, Katy Perry, Britney Spears, and Celine Dion, and the A-list goes on. Taking the crucial yet immensely under-recognized role as songwriter instead of performer, she staked her claim in pop music early and remained relatively faceless, behind the scenes of some of the world’s greatest smash hits. In This is Acting (Monkey Puzzle/RCA Records), the forty-year-old pop star continues this facelessness through the release of each album’s single. 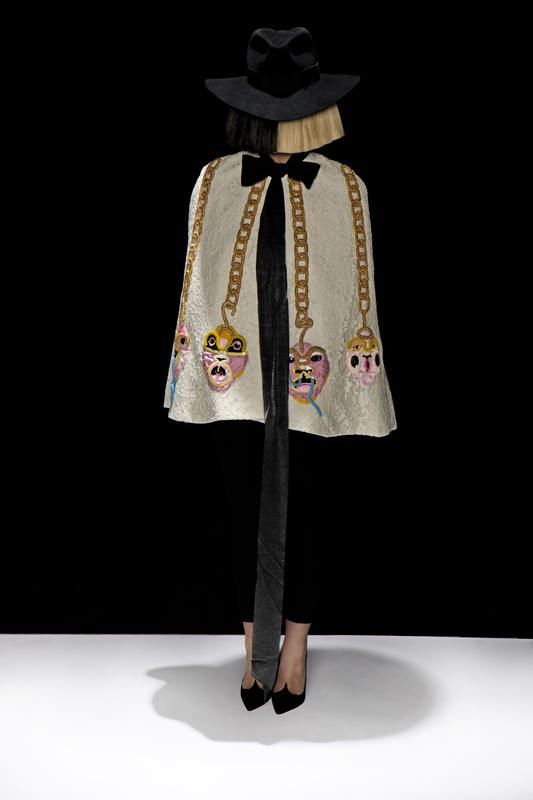 Accompanying each single is its cover art, portraying different characters wearing a Sia wig, an idea that foreshadows the concept behind Sia’s role-play throughout her album. What is This is Acting? Sia has compiled an album of her own songs, rejected by other A-list artists for whom she originally wrote them. Each song has a specific character in mind, and the sound strays from her typical, previously-established material in the sense that it sounds more mainstream and generic. Sia plays the role of Adele, Shakira, Rihanna, and Beyoncé in this appropriately titled LP. The concept behind it becomes evident as one keeps in mind the artist by whom she intended each song to be recorded. What’s interesting about this album is that it raises more questions about Sia as an artist than the answers it provides about Sia as a human being. Completely assuming the identities of fellow pop stars with each song, she gives rejection a callback in This is Acting. Opening the album is “Bird Set Free,” co-written by arguably the biggest name in music this year so far, Adele. This piano ballad was meant to appear on 25, but even after being recorded by Adele, the English singer decided not to put it on the final tracklist at the last minute. A triumphant anthem, it could easily be heard on Adele’s album, but fits as the opening song on This is Acting as Sia demands in an unexpectedly unguarded and confident voice that she will not be tied down. Following “Bird Set Free” with another concoction of piano and heartfelt victory is “Alive,” similarly written with Adele in mind, but once again turned down. Known for being an open book about her struggles with drugs and depression, Sia finds a way to connect with her core fans who identify with similar struggles. From the moment Sia’s voice reaches new heights in the song’s victorious chorus, a sense of overcoming can be felt. The music video is appropriately choreographed as a young girl — portraying a young Sia, as can be assumed by her wig — dressed in a martial arts outfit fights what seem to be her own inner demons. “Unstoppable,” found later on the album, is another all-out cry of empowerment, and it is liberating to hear the strength of someone who will let nothing get in the way of her success. Though unclear as to whom the self-sacrificial “One Million Bullets” was originally written for, Sia’s voice soars once again in a more genuine way than on the rest, allowing us to reasonably assume this song may hit closer to home with Sia than the others. It certainly sounds the most heartfelt compared to the other tracks on the album, but then again, how heartfelt can one really be when writing songs in someone else’s shoes? The surplus of empowering pop ballads takes a break as the tempo refreshingly quickens in “Move Your Body,” a self-explanatory dance anthem clearly destined for Shakira, as can be heard in Sia’s ever flexible voice. “Sweet Design” is another up-tempo tune, catchy and memorable, but reveals a confusing side of Sia that seems to come out of nowhere as she flaunts herself as a sexual object to be desired. The mastermind behind one of Rihanna’s greatest hits, “Diamonds,” Sia includes two of her other songs rejected from Rihanna’s Anti album on This is Acting. The most radio-ready pop tune on the album, “Cheap Thrills” has the kind of tropical beat that is a staple in Rihanna’s music. “Reaper” is a quirkier song, produced and polished by Kanye West, and sounds technically magnificent, though it possesses a certain attitude that seems out of place coming from Sia and more at home on a Rihanna record. “Footprints,” originally meant for Beyoncé, consists of the usual ingredients that make a pop ballad feel universal and catchy, but feels more stripped down and personal like a Beyoncé ballad should sound. How a Beyoncé ballad should sound. It’s unfortunate that we as listeners expect artists to sound so one-dimensional and predictable. However, the sad truth is, “Footprints” is quite frankly the most predictable track on the album and sounds like a cliché that has been regurgitated thousands of times before. To add to this ever mysterious facade, her public image includes a wig/hat combo that hides her face from being seen. It must certainly be a challenge to compare herself to the pop princesses who receive so much attention for material that they may not have completely written themselves. Perhaps songs like these and a clandestine image allow her age to be disregarded and let her music speak for itself. One might even wonder if this album is actually about self-belief, featuring songs that Sia felt didn’t get the credit they deserved. For almost two decades, Sia’s music has spanned various genres. As such a one-of-a-kind character, she seems almost confused as to where she fits in, so she decides to experiment with the sounds of others that have proven successful. For now, she seems to have taken refuge in this comfortable niche that she knows best. Paralleling the struggles of her own life, Sia finds the silver lining in the rejection of these songs and embraces it dearly. This is Acting is a testament to who she is as a human being and an artist, and these songs come together to formulate Sia’s most clever album to date. It is unclear for whom the remaining songs on the album were written, but each flaunts a different aspect of Sia’s many identities that make her the endearing, dramatic, and mysterious character that her fans will try unsuccessfully to ever fully understand. Whether This is Acting is just a commercial concept or an expression of Sia’s real need to be someone else will forever be a puzzling enigma.